It has been 25 years since Champion Jack Dupree passed away, and to commemorate this occasion the people at MIG Music have released a very nice DVD / CD set of his 1980 concert in Cologne, Germany: Live at Rockpalast. The show was filmed for the German television show, Rockpalast, a long-running music program has featured hundreds of top name rock, jazz, and blues bands since the first episode aired in 1974. This episode was definitely a winner, as it is a wonderful documentation of an artist who, at that time, had over 40 years invested in the music business. Jack Dupree experienced more highs and lows during his 81 years than most anybody else ever will. He grew up as an orphan in New Orleans, which is where he learned to play the piano with help from greats such as Tuts Washington and Willie Hall. 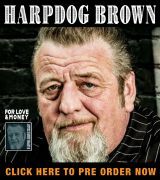 He traveled around the middle part of the States as a young man and he took up boxing on the recommendation of Joe Lewis, winning the Golden Gloves and earning the nickname, “Champion.” After retiring from the ring, Jack got immersed in the Chicago blues scene, with a hiatus to serve in WWII and spend two years in a Japanese prison camp. After that he came back to his piano, eventually moving to Europe, which became his base of operations for countless gigs and festivals. This set him up nicely for this two hour Rockpalast show. For this set, Jack does most of the hard work as he plays piano and sings throughout, accompanied only by his buddy Kenn Lending, a Danish guitarist. Rambling Jack Elliott joins them on stage for one song, but otherwise it is the Jack and Kenn show. They make their way through seventeen songs, a mix of originals, classics, and traditionals, with lots of banter, semi-dirty jokes, and eccentric misquotations of Shakespeare. Oh yes, and a few beers — Mr. Dupree was quite a character, it seems. Dupree and Lending have a solid connection, though it obvious that Jack is taking the lead and Kenn is along for the ride as his co-pilot. His guitar provides a smooth contrast to the piano parts, and he gets a few chances to take solos which are tasteful and not over the top. Jack’s old friend, Rambling Jack Elliott, joins them with his acoustic guitar for “Salt Pork, West Virginia,” and this Louis Jordan tune has a completely different feel when all of the horns are stripped away. The production of this 3-disc set is good, with sound that is about as good as you could expect from a live show using technology from 1980. A funny thing is that the sound actually seems to be clearer and more evenly balanced on the DVD, so maybe more post-production work took place for that disc. The video quality is amazing, with plenty of camera angles that include: the whole stage, Jack’s expressive face, his wonderfully busy hands, Kenn and his Les Paul, and even the audience. The video is clear enough that it could have been made yesterday, if you can pretend for a moment that all modern day people have terrible haircuts and wardrobes. 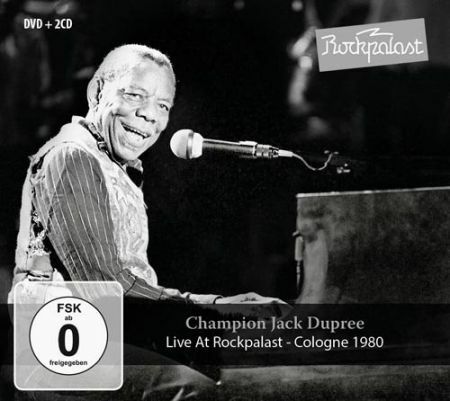 The world is a poorer place without Champion Jack Dupree in it, and it is really cool that MIG Music chose to honor his legacy with Live at Rockpalast. This CD / DVD set includes two hours of good times and fun music from one of the legends of blues piano. This is as close as we will ever get to sitting in the audience for one of his shows, and this set is worth every penny. 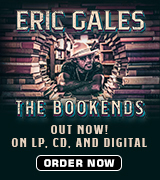 If you are a fan of vintage blues it will certainly be a great idea to check it out for yourself!